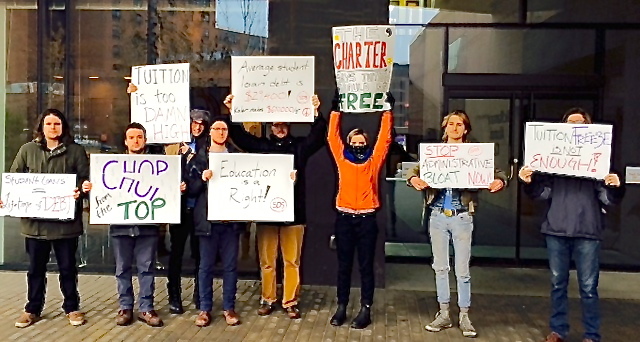 MINNEAPOLIS, MN – On December 12, 2014, students will deliver a letter to the Board of Regents members protesting the University of Minnesota’s high tuition and administrative bloat. The protest is being organized by UMN student group Students for a Democratic Society (SDS). Nationwide, student loan debt recently surpassed $1.2 trillion. SDS applauds the Board of Regents and the administration on their decision to implement a two-year tuition freeze following a student referendum in the spring of 2012, and we urge the Board to continue on this course. However, SDS is concerned that the Board is failing to do enough to eventually lower tuition and alleviate the financial burden faced by students. SDS is also concerned that decisions regarding tuition and costs are being made without the input of those most affected, and that protracted cost-shifting onto students may violate the University of Minnesota’s Charter. In the Spring of 2012, the student body voted by an overwhelming margin (85% in support) on a referendum demanding our university make progress towards becoming a truly public university. The demands were as follows: first, that tuition and fees be frozen and that all future decisions regarding the cost of education at the U be put to a student vote; second, that the university budget be made transparent and brought before the student body as early as possible to seriously solicit student input; third, that the salaries of administrators making more than $200,000 a year be kept in check and reduced by at least 10%. Despite the successful democratic vote, only the first demand was partially implemented. While there are administrators making over $400,000 – more than the president of the United States – departments such as Chicano Studies are facing elimination and costs are being shifted onto students. SDS considers this an unacceptable use of public funds, especially with news of an upcoming budget surplus of $1 billion. SDS believes that education is a right, and Minnesota needs to provide the opportunity for affordable higher education. Minnesotans could lead the nation on the issue of economic accessibility and gain national esteem by lowering tuition and increasing public access to the state’s land-grant institution. SDS is a national, multi-issue organization that works to build power in schools and communities. 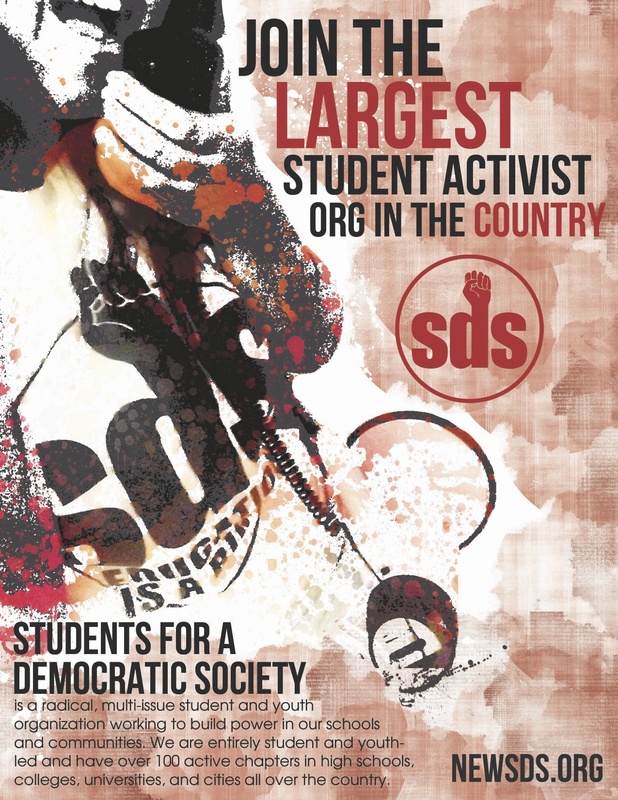 Entirely student- and youth-led, SDS has over 100 active chapters in high schools, colleges and universities across the U.S. SDS at UMN was founded in 2006 and has been organizing for education rights since then.